drawings HERE. 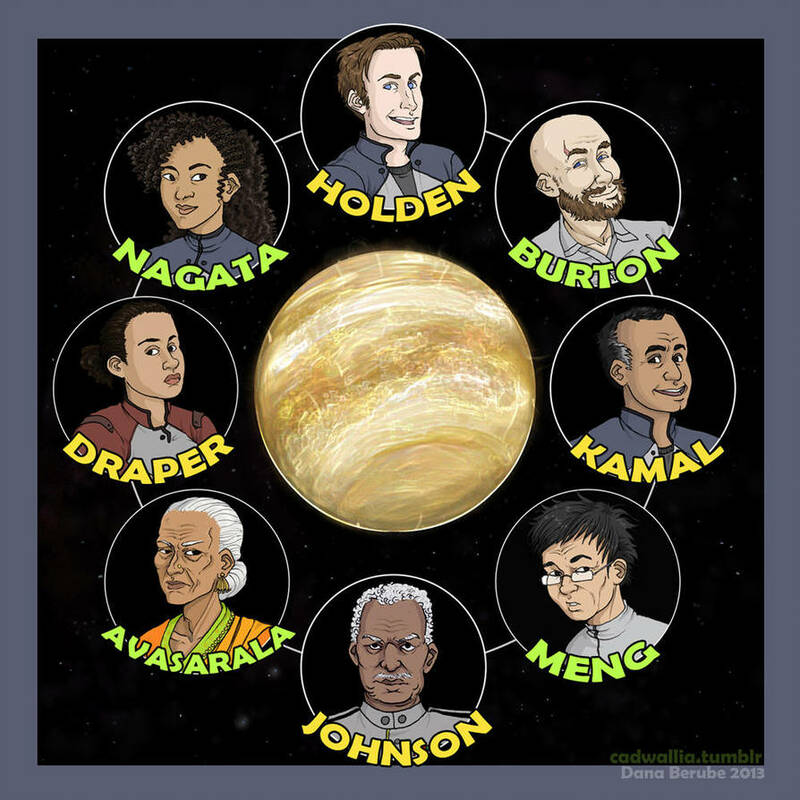 As you can see, the artist has done portraits of all the major characters featured in The Expanse books (although they may be a wee bit cartoony). Meng (my subject for today) is seen in the lower right. Praxidike or just "Prax" for short (as he's called that both in the chapterheads that bear his point of view and in conversation) was an unusual main character. For one, he's really not all that exciting. However the few skills that he has and the plot device of his missing daughter make for some fascinating storytelling. 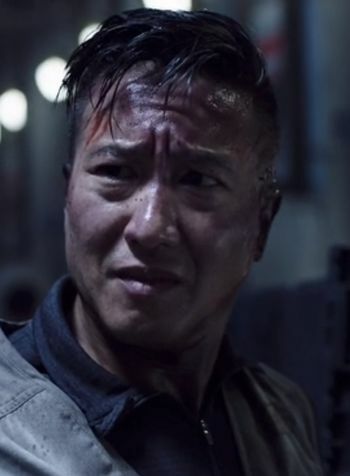 In the television adaptation, Prax is played by actor Terry Chen, and his picture is embedded in this article below and to the left. Prax is a botanist on Ganymede station, and he has a daughter who needs a regular dose of medicine to live. When she goes missing, he hires Holden's crew to find her. It turns out that Mei (Prax's daughter) was kidnapped by the people working for ProtoGen, and they are using children this time as hosts for samples of the protomolecule. The fact that they were on Ganymede to begin with leads to an incident where a human-protomolecule hybrid attacked soldiers from Mars and the United Nations, killing everyone but Roberta Draper. The attack and the radio blackout was misinterpreted, and this led to a battle above and on Ganymede that destroyed a crucial dome and infrastructure for the manufacture of food by growing plants, and it led to catastrophic system wide failure from this important space station. Meng does get his daughter back, and it happens before she can be infected by the protomolecule. Additionally, Prax's insights into botany help Holden figure out things about the protomolecule's behavior that they didn't know before. Prax does become a crucial figure in rebuilding Ganymede station after the attack. In so doing, he creates a kind of yeast "food source" that is way more effective at feeding starving populations than anything else that people are using. He sends that biological technology to Earth (which is desperate to feed billions of people) and in so doing, probably saves many people in the human race. In reading The Expanse books, the Prax chapters weren't the most entertaining ones, but they were an excellent way to deliver a lot of technically dense information to the reader on how things were supposed to work in this universe. In other words, he was a great character to use for information dumps. The story sounds so complex. It's a scary idea to think of a company kidnapping a person for the sake of their experiments.